These two revolutionary and unique HORMOCEUTIC SPECIALIST CREAMS are enriched with active ingredients like PHYTO-OESTROGENS (plant hormones), AMINO ACIDS, TRACE ELEMENTS AND VITAMINS. They have been specifically designed for very mature skin, with advanced signs of hormonal deficiency - extreme dryness, lack of elasticity, loss of density, thinning skin, skin irritations. These uncomfortable skin symptoms, associated with menopause, are caused by a decrease of oestrogen levels leading to declining collagen production, degenerating elastic fibres which negatively impacts microcirculation. Free Marine Cleanser with every order over £50 in the month of September, just add Marine Cleanser 100a to your order, it is an amazing offer. This year we are offering a modern, chic design box which elegantly takes the colours of the bust and body range of products. Each box contains either 2 or 3 products with an explanatory note about how the products work and how to use them. We have just re introduced a feature to our website. From now on, we are looking for customer feedback on how our products are performing. We feel that it is important to share your experiences with other people. Let them know which products work for you and which results you are getting, what you found that works and how you use it. We will also feed this information back to Gernetic International to help them create even better products. For everyone that writes a review, we will send out a Free Manno 50ml Hand Cream. We have incorporated some videos from the GERnetic Australia site that I think that you will find very helpful. This is a very informative website site. Please have a look at http://gernetic.com.au/ We think you will be impressed. 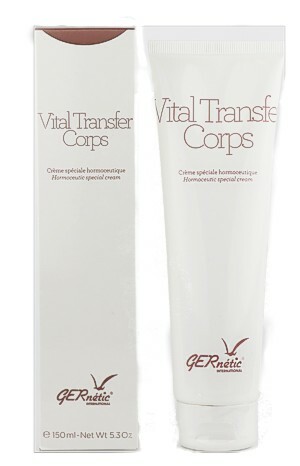 GERnétic International very exciting and innovative product at a very affordable price. The Lift Cream restores elasticity to the neck area and lessens wrinkles around the lip contour. Our GERnétic website has now been launched giving you lots of information on the full range of the GERnétic skinrange range. This exciting new page gives a refreshing look to the whole GERnétic Range. The sole object of the laboratories of GERnétic International is to constantly innovate, to offer every woman beauty and health care products for the face, hands, bust and entire body. All the products from GERnétic International are the result of our permanent research in cellular biology, designed to provide maximum efficacy and satisfaction. All our beauty products are made from beneficial plants, vitamins, trace elements, amino acids, proteins and fine oils, the active ingredients of which are 100% natural, enabling you to recover a healthier, younger skin. A genuine cocktail of health and beauty for the skin, for all women irrespective of their age. If you would like to register with this site, please send an email to us by hitting the contact button. You must provide your name and postcode and we will send you a login to the site. Please remember that you must be living in the UK to register. This website is solely for people that live in the United Kingdom. If you live outside of the UK, please contact a local GERnétic salon in your country. www.gernetic.com and they will be able to point you in the right direction. GERnétic International has a policy not to market their skincare products on the internet, as you do need to speak to a beauty therapist to achieve the best results. We still have a few of these excellent Synchro Promotion sets, Hurry when there gone there gone.